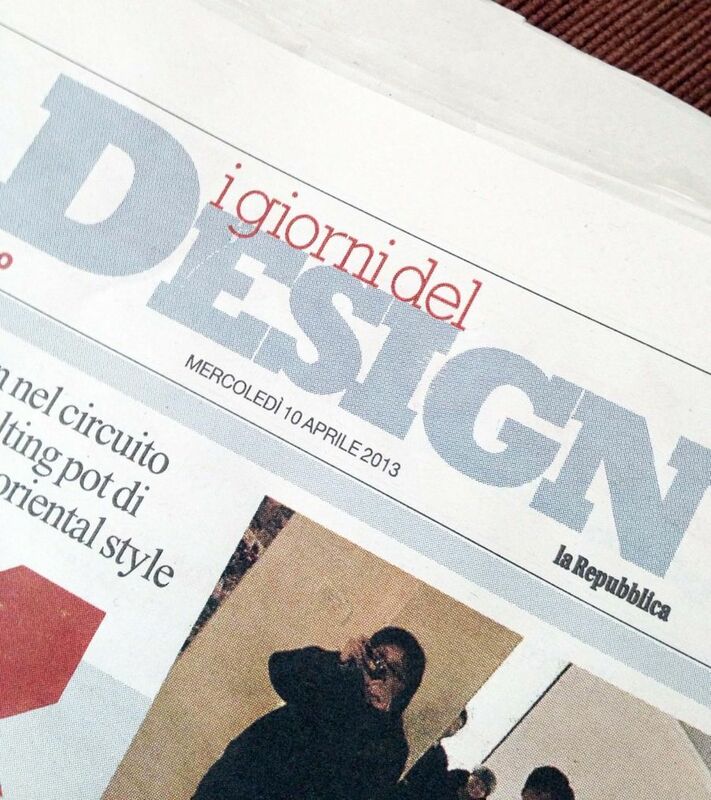 Shinobu Ito’s ‘Ami’ chaise longue for Sampietro is featured under Design section in Repubblica, on 10 April 2013. 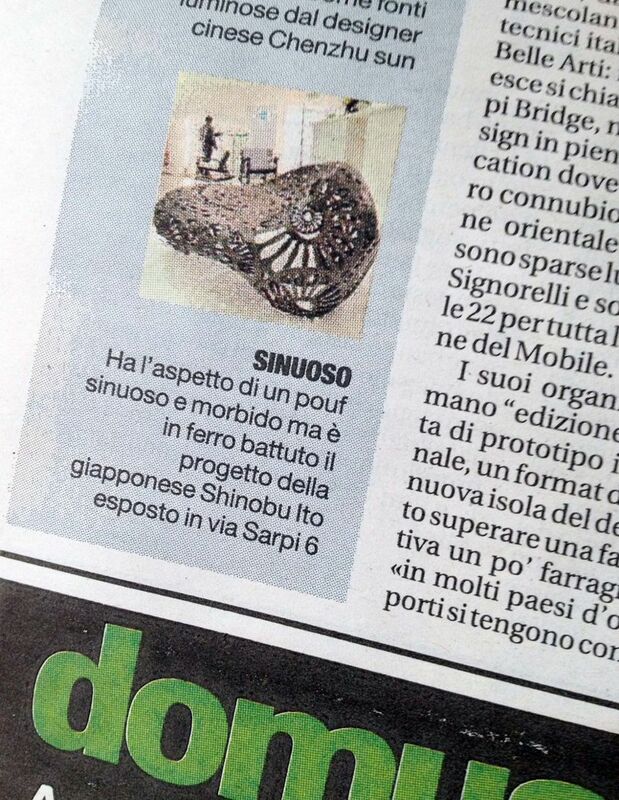 You can read the contents below ( in Italian ). Detail of work is in J+I Collection section, under material Metal. 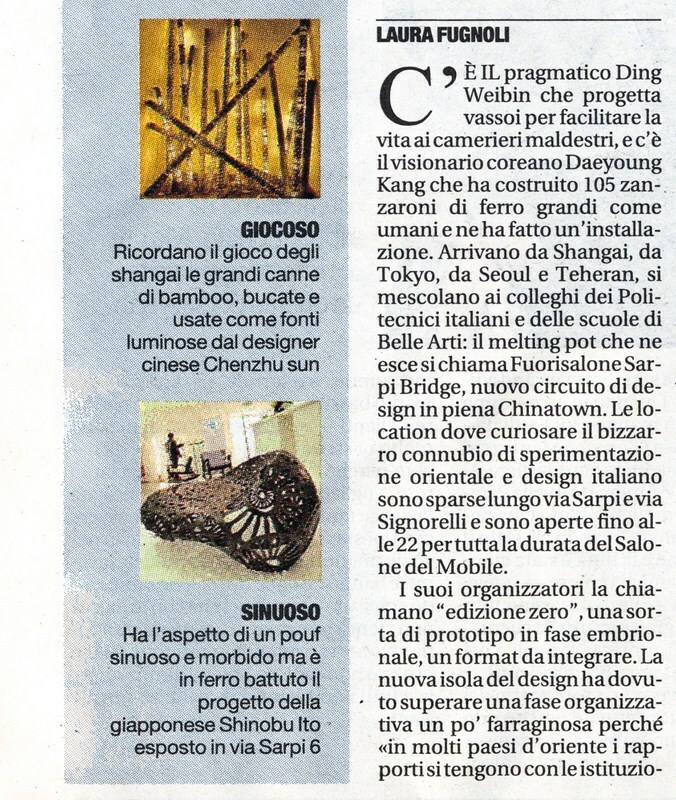 This entry was posted in press Latest・プレス掲載 and tagged イタリアの伝統工芸, サローネ2013, 錬鉄, FuoriSalone 2013, Sampietro, Wrought Iron on May 16, 2013 by Tomoko Azumi.